Keppel Corporation (SGX:BN4) is a Singapore based conglomerate founded by Temasek Holdings in 1968 as a local ship yard, and it was subsequently listed in Singapore Stock Exchange on 24 October 1980. Today it has more than 30,000 employees with operation extending across the globe, from its early business expansion in the Asia’s region to the present Europe and North and South America. Keppel Corp. consists of four key businesses: 1. Offshore & Marine, 2. Property, 3. Infrastructure and 4. Investments. It has 3 divisions, Keppel O&M being the core, with other three divisions 1. Offshore, 2. Marine and 3. Specialised shipbuilding. Keppel Offshore & Marine (Keppel O&M) designs, repairs and constructs offshore rig and in the provision of ship repair and conversion, as well as specialized shipbuilding. Keppel FELS represents the Offshore division, it designs and build high-performance mobile offshore rigs. Keppel Shipyard represents the Marine division, it repairs, converts and upgrades vessels. It also provides conversion of Floating Production Storage and Offloading, Floating Storage and Offloading and Floating Storage and Re-gasification Units. Keppel Singmarine represents the Specialised Shipbuilding division, it has 400 shipbuilding designs with diverse type ranging from Anchor Handling Tug/Supply vessels, multi-purpose Offshore Support Vessels and tugboat to highly advanced solutions such as ice-capable vessels for a worldwide clientele. 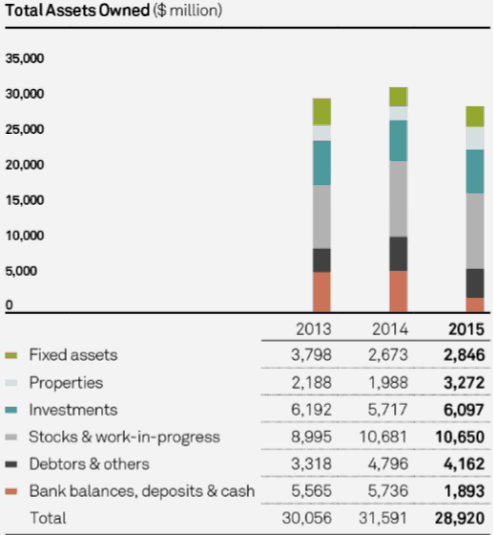 Property fund management, Keppel REIT and Alpha investment. Since July 2016, Keppel REIT and Alpha investment has been consolidated under Keppel Capital, a new wholly owned subsidiary of Keppel Corp. Notable landmark in the property development division includes Sixth Avenue, Marina Bay Residences. There are two Keppel Corp subsidiaries under the infrastructure operating segment, Keppel Infrastructure (KI) and Keppel Telecommunications & Transportation (Keppel T&T). Keppel Infrastructure (KI) invests, owns and operates energy and infrastructure solutions and services. Its key business segment includes Gas-To-Power, Waste-To-Energy, X-To-Energy and infrastructure services. Keppel Seghers, a KI subsidiary deals with environmental issues such as solid waste, wastewater, drinking and process water, bio-solids and sludge. Keppel DHCS, also a KI subsidiary develops and provides heating and cooling system services at major business and industrial part in Singapore and china. Keppel Infrastructure Trust (SGX:A7RU), listed in SGX, was originally named as CitySpring Infrastructure Trust. It was subsequently renamed to Keppel Infrastructure Trust. It invests and manages a wide range of infrastructure businesses such as waste treatment, water production, power production and transmission and more. Keppel Telecommunications & Transportation (Keppel T&T) is a services provider of logistics and data centres with businesses in Asia-Pacific region and Europe. It also provides a complete range of supply chain solutions such as port logistic. Keppel DC REIT (SGX:AJBU) is sponsored by Keppel T&T, listed in SGX on Dec 2014, it invests in income-producing data centre with the focus in Asia-Pacific and Europe. Keppel Corporation’s investments Division comprises of Keppel Capital, K1 Ventures, M1 Limited and KrisEnergy. 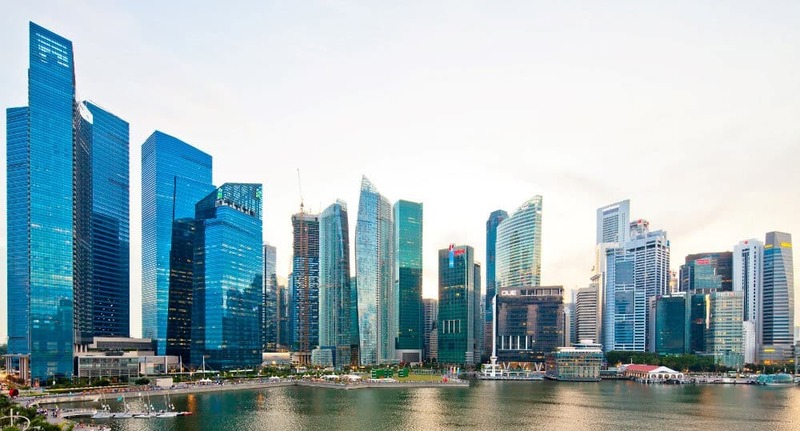 Keppel Capital holds a diversified portfolio of assets that includes real estate, infrastructure and data centre properties in key global markets. K1 Ventures invests in transportation leasing, education, oil and gas exploration, and automotive retail. KrisEnergy explores, develops and produces oil & gas in high-potential geological basins in Asia. M1 Limited is a Telco provider in Singapore. 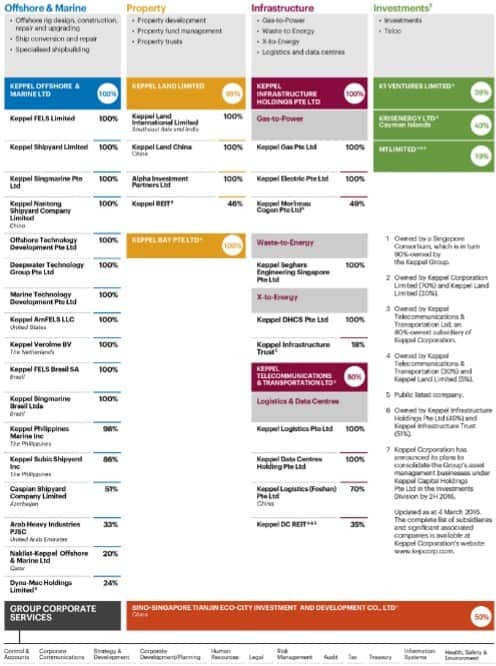 On July 2016, Keppel Corp. completed the consolidation of four of its asset management businesses under Keppel Capital, a new wholly-owned subsidiary of Keppel Corp. Keppel Capital now owns 100% interest in Keppel REIT Management Limited, Alpha Investment Partners Limited and Keppel Infrastructure Fund Management Pte. Ltd and also 50% interest in Keppel DC REIT Management Pte. Ltd.
Do note that the above mentioned subsidiaries are not REITs, those are separate management entities which are privately held by Keppel Cop. Lee Boon Yang was elected as the Chairman of Keppel Corporation Limited since 1 July 2009. He was a member of the governing People’s Action Party (PAP). In 1984, he won the Jalan Besar seat in the Parliament, and subsequently won the parliamentary seat for six consecutive terms until his retirement from political office on 31 Mar 2009 and from Parliament on 19 April 2011. Throughout his appointment in the cabinet, he held various senior roles which includes Minister for Defence, Minister of Manpower and Minister of Information, Communications and Arts. Loh Chin Hua is the Chief Executive Officer (CEO) and Executive Director of Keppel Corporation; he was appointed on 1 Jan 2014. Prior to his current appointment he served as Chief Financial Officer since 1 January 2012. Within the group, he chairs the office of Keppel O&M, Keppel Land, Keppel Infrasturcutre, Keppel T&T and Keppel Capital. Mr Loh also holds directorship in other Keppel companies, namely Keppel FELS and Keppel Shipyard. He is also a member of the Board of Trustees at the National University of Singapore (NUS). Loh Chin Hua has 25 over years of experience in real estate investing and fund management. He joined the Keppel Group in 2002 and founded Alpha Investment Partners. His career began with the Government of Singapore Investment Corporation (GIC), where he held various key office positions. Chan Hon Chew is the Chief Financial Officer of Keppel Crop, he was appointed on 1 February 2014. Prior to that he served as the Senior Vice President of Finance with Singapore Airlines, and he represented SIA on the board of directors of Tiger Airways and Virgin Atlantic Airways. From 1998 to 2003, he was the Assistant General Manager of Finance and Corporate Services at Wing Tai Holdings, and in July 2013 he was elected to the Council of the Institute of Singapore Chartered Accountants. Within Keppel Group, he holds principal directorship in Keppel Infrastructure, Keppel O&M and Keppel T&T. 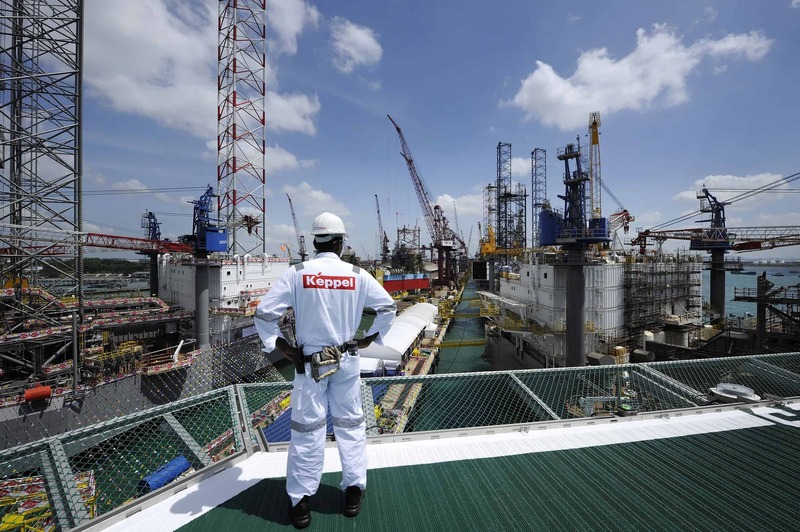 The majority shareholder is Temasek Holdings Pte Ltd which holds 20.46% of Keppel Corporporation. The second and third largest are The PNC Financial Services which holds 5.87% and Aberdeen Asset Management which holds 5.36%. Free float as at 2 March 2016 is 67%. 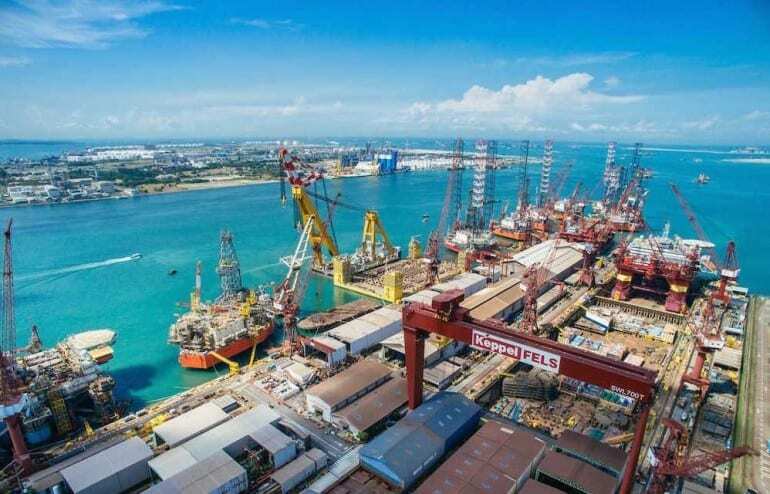 Despite diversifying its business operation and investment over a range of property and infrastructure assets in the past decade, the Offshore & Marine business segment still contributes more than half of Keppel Corp’s revenue. 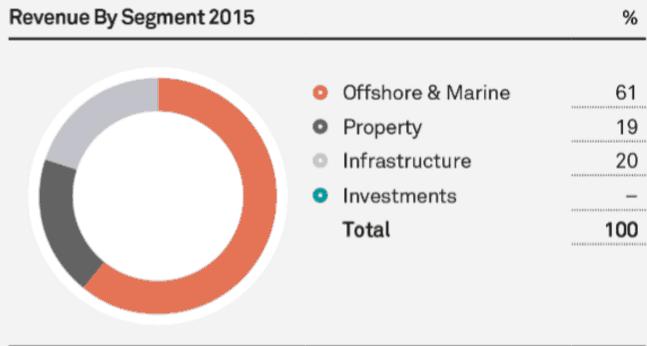 Keppel Corporation’s property segment is its second largest core division. In 2015 it sold 4,570 homes in China, Vietnam and Indonesia. China represents the biggest segment in Keppel Corp’s property pie with 3,280 home sales, bringing in 70% of total home sales. The division experienced a strong improvement over the past year from 2,450 home sales in 2014 to 4,570 in 2015. Coupled with the depressed oil & gas sector, its property division’s net profit has exceeded that of its Offshore & Marine division in 2015. Keppel Corp. is one of the blue chip stocks that pays constant dividend over decades since its initial public offering (IPO) in 1989. 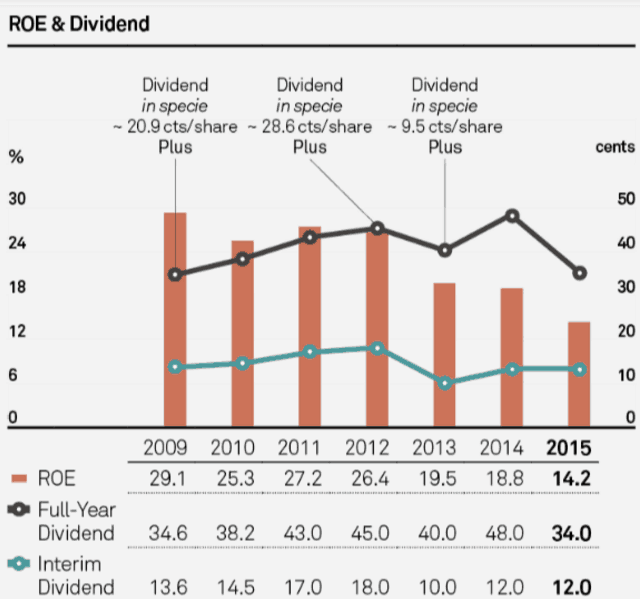 Keppel Corp has never missed a dividend payout even during 1997 Asian financial crisis and 2008 global financial crisis. This shows the management’s propensity and ability to pay dividend, an attribute which most retail investors sought for. Corresponding with the sharp decline of global oil prices in 2014, Keppel Corp. cut its dividend from 48 cents to 34 cents per share. The large drop of Bank Balances Deposits & Cash was mainly due to the privatisation of Keppel Land. The increase of properties was the result of an acquisition of freehold building in London and fair value gain on its investment properties in 2015. The chart above shows the 10 years performance of Keppel Corp against Singapore Index (STI) as a benchmark. 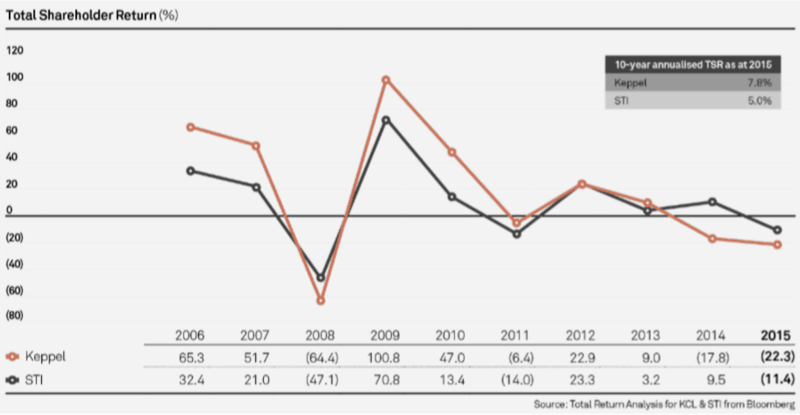 Keppel Corp’s total returns was 200 basis point higher than the STI’s return of 5% on its 10 years total annualized returns from the period of 2006 to 2015. The collapse of global oil prices hit Keppel Corp. hard, affecting its performance in 2014 when the oil prices fell from its average high of $100 per barrel in July 2014 to $53 at December 2014. Despite being a conglomerate with diverse businesses across property, infrastructure and investment, these segments did not provide sufficient cushion against the sharp drop of global oil prices as the bulk of Keppel Corporation’s revenue was still generated by the Offshore & Marine (responsible for 60% of Keppel Corp’s revenue). Against its historical valuation, Keppel Corp’s Price to Book (P/B) is trading at a 10-year low. Its Price to Earning (P/E) is also at its lowest. The previous time Keppel Corp experienced something similar was during the global financial crisis in 2008 when its P/E was 6. Although Keppel Corp’s dividend yield of 6.5% may seem attractive in the current low interest rate environment, investors should note that business in the oil and gas sector remains challenging. Should the global oil prices remain sluggish in the years ahead, its sales order will be affected so is the possibility of cutting its dividend further. Keppel Corporation is a large conglomerate with many moving parts across multiple sectors, hence investors who wish to participate in the company growth are advised to conduct proper due diligence. If you decide to invest in Keppel Corp, do aim for a long term investment instead of speculating on its recovery caused by the raising oil prices. Keppel Corporation(SGX:BN4) is listed on the SGX and can be bought through a broker. It is also good to note that at the point of writing, Keppel Corp is also a CPF approved stock. This means that retail investors in Singapore can also choose to invest in Keppel Corp via the CPF Investment Scheme. All information provided is purely for educational purposes. They are not intended to be and do not constitute as financial advice. In no event will BigFatPurse/Dr Wealth be liable for any damages, losses or gains. All information are accurate at the point of writing and BigFatPurse/Dr Wealth is not liable for any inaccuracies in the data and figures. Readers should seek the advice of a qualified professional and do their own due diligence.